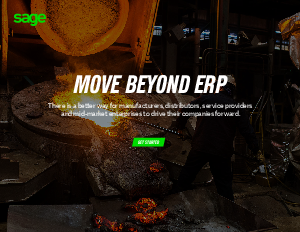 • Download our new ‘Move Beyond ERP’ eBook to understand the business challenges you have, and how to meet them. • Understand why businesses are outgrowing traditional ERP and are burdened by its inefficiencies. • Look at the benefits of Enterprise Management, which provides real-time data intelligence, improved forecasting, and accelerated business processes.